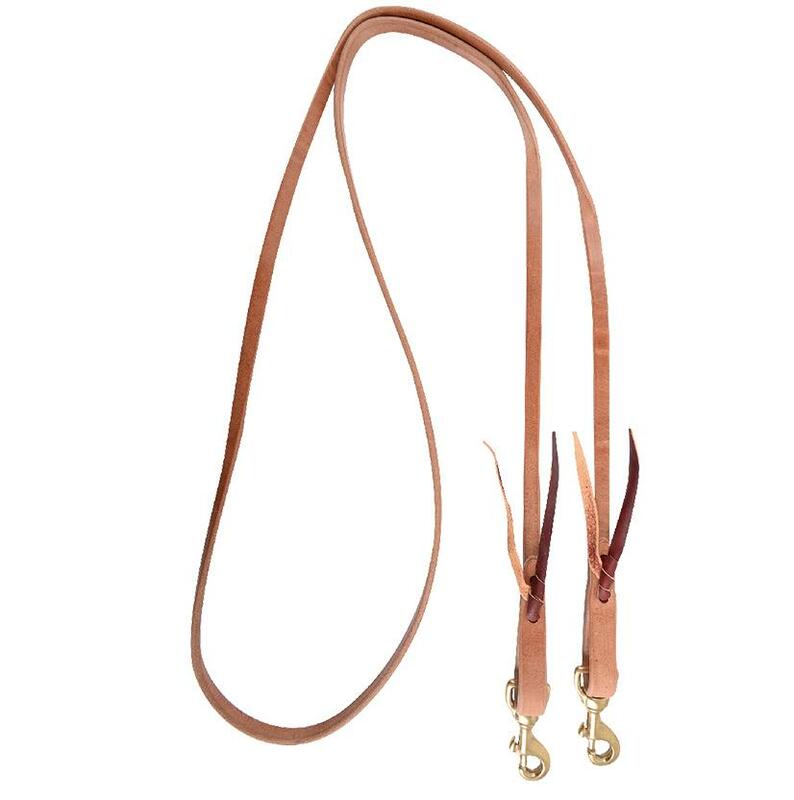 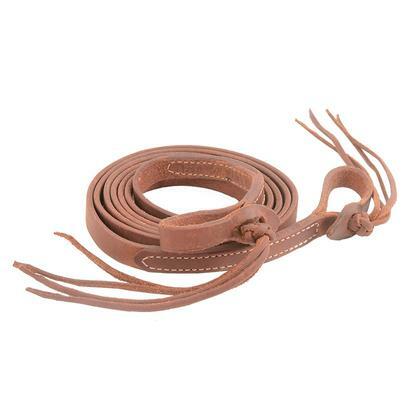 Martin Saddlery 1/2" Roping Rein with double snaps are constructed from brown harness leather. 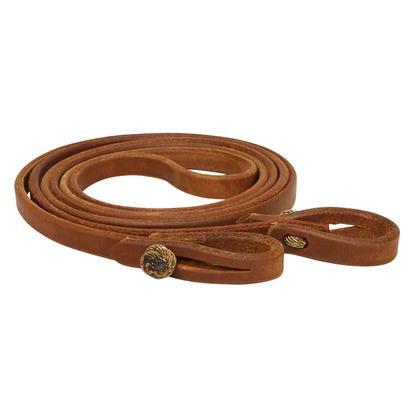 Measures 7' long and has water tie loops and snaps on both ends. 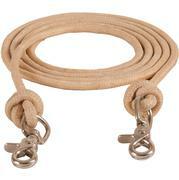 STT Roping Rein with Poly Knot 5/8"
STT Roping Reins Oiled with Pineapple Knot 1/2" or 5/8"